This spirited, emboldening guidebook includes more than fifty ways to get in touch with your inner divinity.Written to empower and inspire, this positive book teaches you how to connect with your inner Goddess, uncover your true goals, and create a healthy plan for achievement. 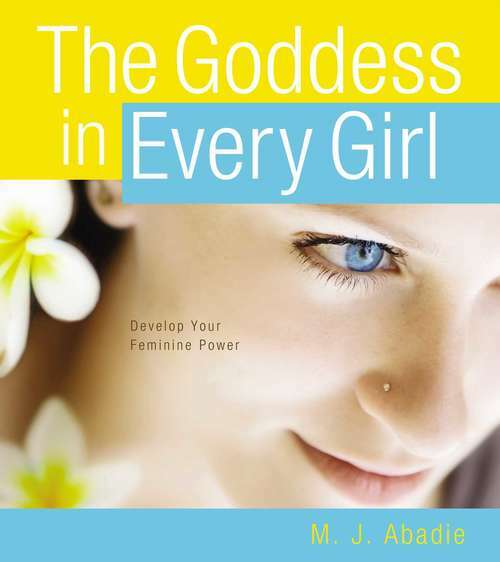 With fun games and exercises, along with a list of additional resources, The Goddess in Every Girl will start you on a path of self-discovery and expression--physically, emotionally, and spiritually. Be confident. Be creative. Be beautiful. Be the person you want to be! Complete astrological tables let you look up your own personal Goddess ally in the areas of life purpose, emotions, body awareness, love, nature, energy, and passion. With more than fifty activities--such as a guided journey to the Goddess center, directions for keeping a Goddess journal, breathing exercises, meditations, and instructions on creating a sacred ritual space for self-transformation--you will find the answers within yourself. It doesn't matter who you are, where you live, what you look like, how much you weigh, what your parents do, whether you are rich or poor, popular or not--you have the power of the Goddess within you. You only have to set it free!